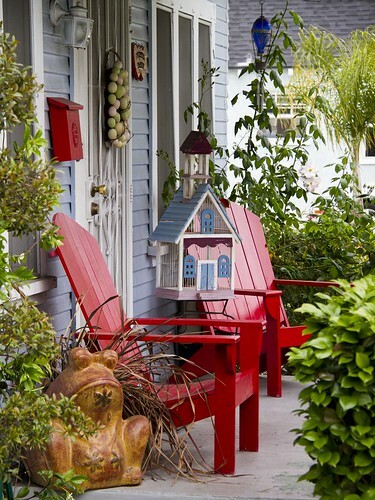 This cute little cottage, built in 1926, caught my eye because of the abundance of red accents on the porch and in the yard. Lovely, lovely. Is that an egg wreath on the door? 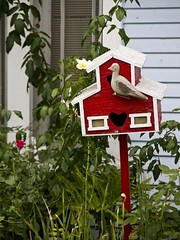 Nice to see people make such efforts to create a welcoming entry way into their home. Nice spot to take a break. I love that picture Fantastic! !